What do Calacatta, Vera Gold, Olympia, Verde Maritaca, and Absolute Black have in common? 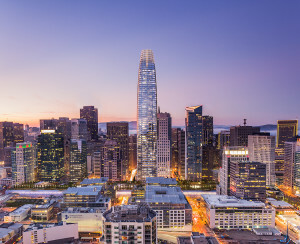 They represent the types and colors of stone chosen by Boston Properties and Pelli Clarke Pelli Architects for one of the most exciting stone projects slated for 2015 – the Salesforce Tower in downtown San Francisco. Superior Tile & Stone is proud to be the stone installation contractor for what will be the tallest building West of the Mississippi. 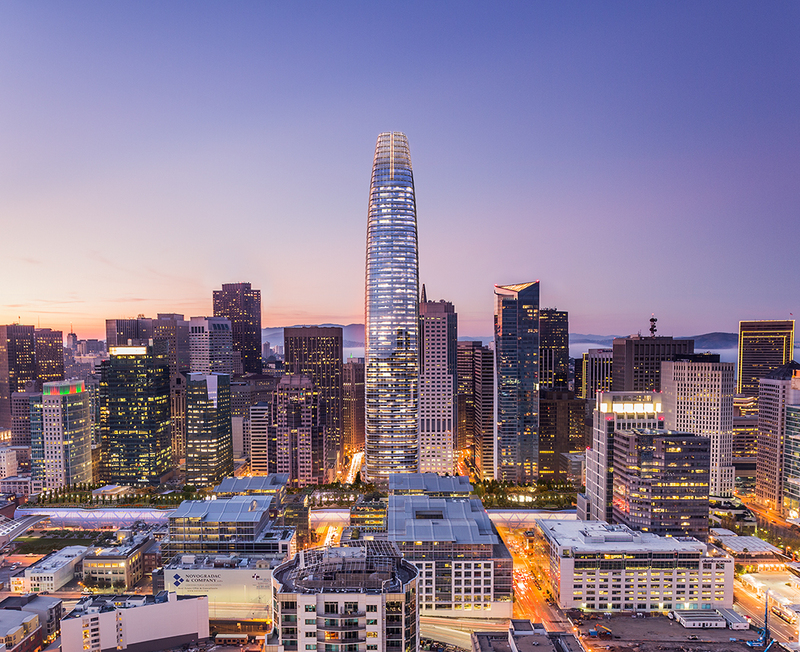 Formerly known as Transbay Tower, with 1.4 million square feet of office space and 61 stories, Salesforce Tower will stand tall above the San Francisco skyline. It is the centerpiece of the San Francisco Transbay Terminal project, a multi-billion dollar plan that includes a multi-modal transportation hub, office space, retail, and residential towers. Clark Construction/Hathaway Dinwiddie JV, the general contractor on the project, selected Superior based on its past performance, financial strength and depth of experience with complex fabricated stone projects throughout the Western United States. Superior Tile & Stone’s CEO, Tommy A. Conner, and its President, Robert F. Herman, traveled to Italy in September 2014 to source stone for this project. The design team, led by Ed Dionne of Pelli Clarke Pelli Architects, and the owners – Boston Properties and Hines – ultimately settled on Calacatta Jule for the lobby walls, Vera Gold and Olympia Cream for the interior paving, Verde Maritaca for exterior landscape paving and Absolute Black for the vanities. Superior’s work will begin in late 2015, and is targeted for completion by the end of 2016. This entry was posted in Fabrication, Innovation, Installation, Sourcing and tagged Fabrication, Salesforce Tower, Salesforce.com, San Francisco, Stone and Tile Installation, Superior Innovation, Superior Tile & Stone. Bookmark the permalink.